Some years ago whilst working in Paris, I was given a copy of Cecil Beaton's book: The Glass of Fashion. This is where I first discovered the fabulous society portraits of fashionable Edwardian figures such as Countess Zichy, Rita de Acosta Lydig and the Duchess of Marlborough, all by the incredible Italian painter Giovanni Boldini. 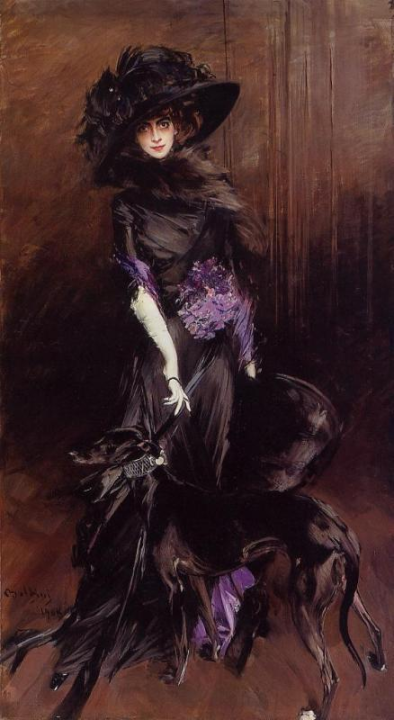 With my magpie's eye widened, my introduction to what is now one of my favourite Boldini paintings of the Marchesa Casati swiftly followed. Her infamous bewitching eyes were like hypnotic chasms in which I, like so many others, became instantly entranced. 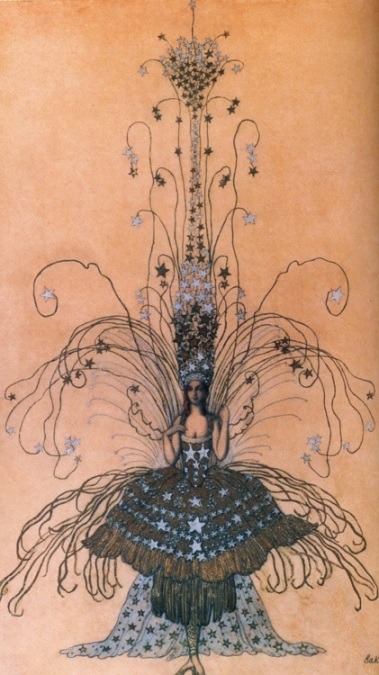 During the first half of the twentieth century she inspired and associated herself with a wealth of artists and designers, the likes of Poiret, Diaghilev, Fortuny, Bakst and Erte to mention only a few. The Marchesa Luisa Casati turned heads with every entrance she made. Holding grand Venetian balls in St Mark's Square with gold-leafed, half-naked men holding velvet ropes to keep the uninvited out, styling herslf in the most incredible dresses and costumes Europe had ever seen, wearing eye shadow made of velvet paired with live snakes as jewellery. Rumour has it that whilst hosting the Ballet Russes wearing a creation comprised exclusively of egret plumes, every movement she made caused the gown to moult right before everyone's eyes. Living with a menagerie of exotic and mechanical animals in a rose marble mansion just outside Paris or in the grandeur of her Venetian Palazzo, squandering a huge fortune on a life of extravagance and courting the who's who of the Belle Epoque, the Marchesa stole the show wherever she went. When the years of excess and partying took their toll and the debtors began knocking 'Luisa' escaped to London, living in what is now the Beaufort Hotel close to Harrods. 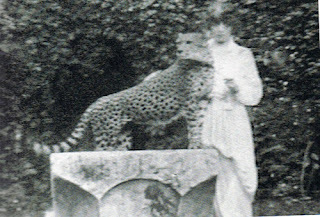 Buried in Brompton Cemetary in leopard skin and false eyelashes with the quotation " Age cannot wither her, nor custom stale her infinite variety" inscribed on her tomb. So this coming Halloween, join us when the moon is full, as we gaze out of our windows into the night, think not of Mary Shelley's scientific creation or Bram Stoker's bloodthirsty Count! But of a magical waif with flame coloured hair, emerald eyes painted darkest kohl, wearing a long, black duchess satin Vionnet dress walking the dimly lit streets of Venice with her diamond- leashed leopards. Make way for the most glamourous Queen of the Night! She's coming to get you! We have a copy of one of my very favourite books to giveaway in time for Halloween. A fabulous addition for your Autumn coffee table. All welcome, new and existing followers. Join up and join in. To be in with a chance of winning just. C. (Optional) Mention this giveaway on your Blog, Facebook or Twitter & return to let us know here for a 2nd entry into the giveaway. Hi Paul, that second portrait down, is awesome! Thanks for sharing the pics! Lovely, out of this world art form, you have it. 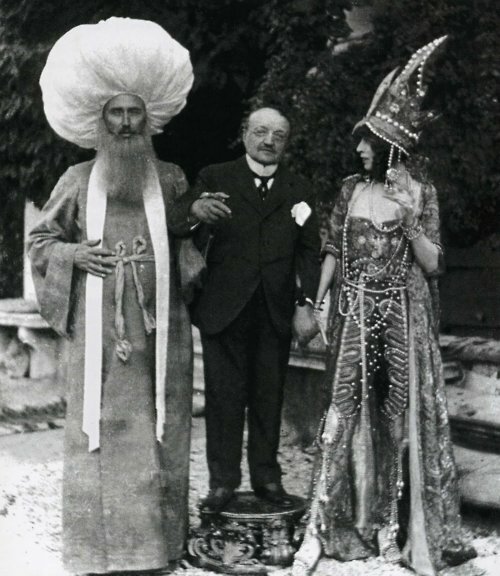 What surreal characters lived in the 1920s and how wonderful to have been a fly on the wall. 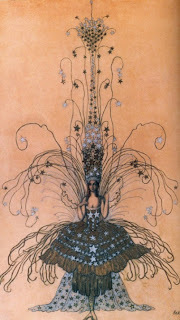 Alas, that cannot be, but your Queen of the Night book would be the next best thing. Ooooohhh, spooky, I love it. I imagine myself being this type of character in a previous life. Totally dark and richly eccentric! What a dream. Quite the character your Marchesa. Velvet eyeshadow? I can't even imagine such thing. Love Tilda Swinton's adaptation, she's really something else. Just saw her last night in "We need to talk about Kevin", she always amazes me. Dear Paul, your extensive knowledge of Fashion and other things is very admirable plus you have a generous heart. 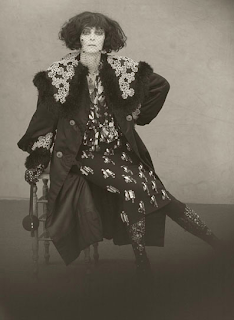 Marchesa Casati is one of the original Fashion Icons that still inspires up to the present. Too bad she died quite sadly. I didn't know that she was buried in London. Is Brompton Cemetery near the Brompton Oratory? The Brompton Oratory is a beautiful church there in London. I visit the Oratory whenever I'm in London. They still have those Latin Masses there which my mother doesn't like. She didn't like the priest there. My mother is funny. P.S. Your sister is very lucky to receive that gift. I am glad she likes it. 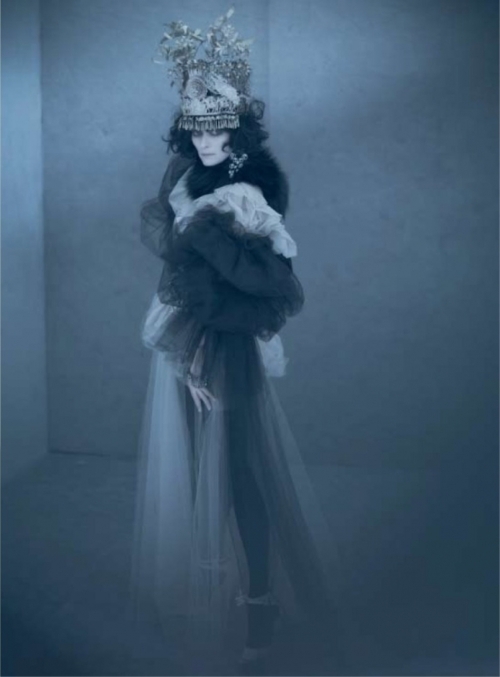 Just like the Marchesa, Coco Chanel still influence and inspires Fashion. Every woman would love to receive a Chanel. I have shared your post on twitter. I admire original and unique even though I tend to drift into simple standard. An addition of a Marchesa Book on my table would be a delight . . .
Good morning, Mr. Christmas Wreath man!!!! I LOVE that photo of Tilda. She is not only a wonderful actress, but her LOOKS are so versatile and she can play just about any role. Have you seen the film, "We need to talk about (I forgot the name of her son inserted here!). What a strong film and she really shows her chops in the role of a mother whose son is quite disturbed. Hi Paul, A perfect post for my Sunday morning! I love social history, particularly that of the late 19th and early 20th centuries, and Boldini is my favorite portrait painter of the period. He always made his subjects look completely glamorous and carefree - regardless of what the reality of their lives might be (see those of Consuelo Vanderbilt/Duchess of Marlborough and Elizabeth Drexel Lehr.) 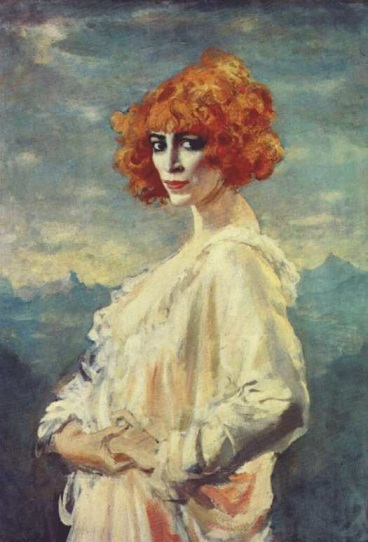 And the Marchesa Casati, well what a fabulous character, and who better to channel her today than the chameleon Tilda Swinton. Wonderful and thank you! I adore Cecil Beaton and any friend of his or any book is always a welcome friend to me. Once again, thank-you for a generous and clever give-away. Dahling, what a fabulous giveaway!! 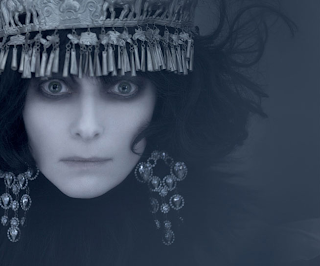 I'm channeling the Marchesa Luisa Casati ;) And of course the artsy Tilda Swinton is perfect as the Marchesa. Both avid supporters of the art and avant garde! Wow, she was really something!! Boom & Gary of the Vermilon River, Canada. this post is creepy GREAT! What an interesting and excessive life of luxury your eccentric Marchessa lived. I love Cecil Beaton but am not familiar with her I must go and do some research. An interesting giveaway for the season. Love Tilda as do many here. eeekkk...this is what I'm beginning to look like these days! What a great giveaway for October! My fashion knowledge is obviously sadly lacking as I have never heard of any of these people, except Cecil Beaton. What an interesting character she must have been. Tilda Swinton looks amazing. There is nothing creepy about La Marchesa Luisa Casati. Like most Italians (I am one of them) she was eccentric, self centred and... really interesting and beautiful in her own, fascinating way. 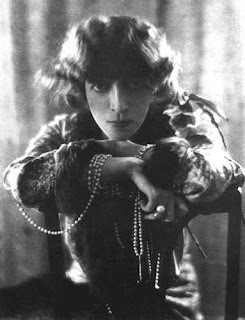 La Marchesa lived during some very interesting years and even had a relationship with Gabriele D'Annunzio,"Il Vate"... the Poet whose political views I will never share and who was able to write poems which were shallow and deprived of real content, but all the same very, very beautiful. One of them, "La Pioggia nel Pineto" moves me to tears. I like this woman... she wanted to be "A living work of art"... she was no Monna Lisa, she was not beautiful,in an objective way, but how intriguing and how contemporary, and how crazy! 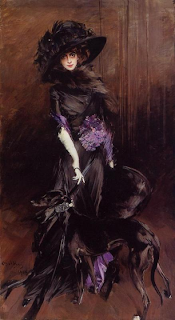 I have always loved the purple and black painting of Luisa Casati with the dogs. It's stylish and has a lot of beautiful shapes and lines in it. I was surprised to see a post about Luisa Casati. Excellent and interesting! She was really quite fabulous wasn't she? Love that portrait. Tilda will be wonderful as her. Isn't the Marchesa fashion house named after her? Great post! I love looking back at the "old days". The old photos are really neat. Just found your blog today! I love the stories of eccentric dilettantes of the past. Often ending in some form of dissolution, but oh how fabulous getting there. I would love to win this most interesting book to read curled up in front of my winter fire. Really amazing art forms. Beautiful.